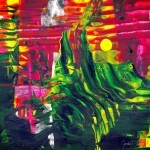 This modern abstract painting is part of art paintings prints collection created by artist G.P.Junior. When you view the planet of Jupiter, you see a red swirl prominently on its surface. Scientists have discovered that this beautiful visual is actually a storm tearing across the planet’s surface. 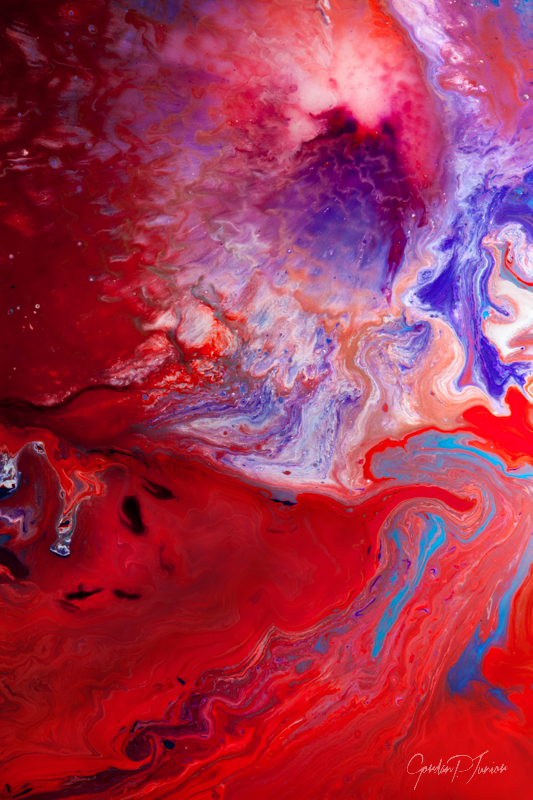 That astronomical phenomenon has inspired the Space Storm Mixed Media Modern Wall Art Print, a piece that captures the ethereal beauty of a storm viewed in space. Dramatic colors of red, blue and purple make the print eye-catching and snowy white softens the piece. 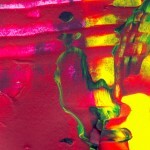 This work of art is a high resolution print of an original made by GP Junior by layering together a variety of media.